In this blog post, Craig Coker shares two illustrative stories that marked his career and describes a few basics of the composting science – or art? Just about anything that was once alive can be composted. The simplest compost pile I’ve built was at a farm by covering a dead cow with hay and sawdust. Six months passed and voila, I had compost! On the other hand, I’ve built piles at an industrial composting facility that came from fifteen different contracted materials, varying from sewage sludge to food processing scraps to wallboard. In both situations, it was absolutely critical to get the materials proportioned properly which we will delve into. 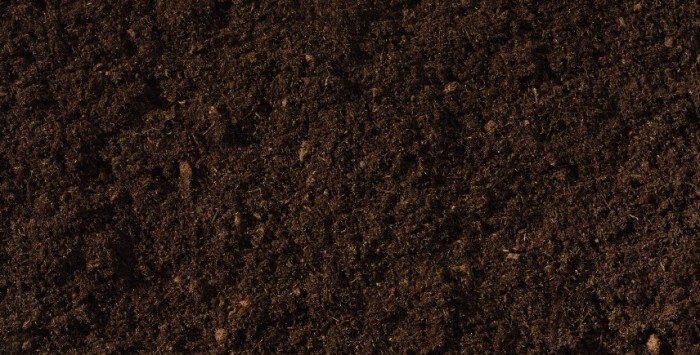 First, a little on the science: composting parameters include chemical concentrations of carbon, nitrogen, and soluble salts, along with physical characteristics of moisture content, bulk density and volatile solids. These are the very factors that go into how I build my recipes. I am fond of saying that composting is like baking a cake; if the ingredients for the cake (flour, sugar, eggs) are not in the right proportions, the cake will not rise or it will not taste good. It is the same in good composting. If the ingredients are in the wrong proportions: the carbon-to-nitrogen ratios will be off, the moisture content will be incorrect, there won’t be enough volatile solids to fire up the biological reaction, the free air space might be too low to allow good air flow, or the soluble salts might be too high to be ideal for plants. While composting sewage sludge with wood chips and many other materials was not a revolutionary equation, it was very precise from strict parameters. At an industrial composting facility, an aeration system was utilized to blow air into piles that were 30’ wide by 100’ long by 10’ high. Composting under this forced aeration system lasted for 21 days, then the piles were broken down and moved outside for curing. Waste materials were delivered to the receipt area next to the mixing hall, where they were stored in separate piles. The loader operator working in the mixing hall had to know how many loader buckets of each material he needed to add together to make a good composting recipe. I used an Excel spreadsheet to develop his recipe. Samples of each waste material were analyzed in a qualified laboratory and then put the values for carbon, nitrogen, moisture and bulk density into the spreadsheet. I adjusted the weights of each ingredient until the spreadsheet model indicated I had a carbon-to-nitrogen ratio of at least 25, and a moisture content of at least 55%. I used the bulk density values to convert the weight to volumes. I climbed up into the loader operator’s cab to show him the recipe. He said he had a 6 cubic yard bucket on the loader. In sum, we were able to figure out he needed to take so many buckets from this pile and so many buckets from another pile, which he fed into a mechanical mixing system. The properly-mixed ingredients were moved into the composting hall by a conveyor. Perhaps this is sounding a little too precise and calculated. And to that end, you might be wondering: how did I have such luck with composting the dead cow? I was running a dairy manure and sawdust composting facility at a farm in western North Carolina. One of the cows had died overnight and the farmer was planning to dig a hole in the fields to bury it. I suggested he let us compost it instead. Agreeing, he brought the animal in the bucket of his tractor and laid it down on a 12 inch thick bed of sawdust we built. I realized that the high nitrogen content of the body coupled with the large size of the cow would slow the process and risk odors, as well as vectors. I punched a couple of dozen holes in the body with a pitchfork to allow access for the bacteria and covered it with an 18 inch-thick layer of hay which gave the pile good bioavailable carbon. We watered the hay until it was damp to improve the moisture content and finished by covering the hay with 8 inches of sawdust to discourage birds and other vectors from poking around. We kept the outer layer of the sawdust wetted down when it wasn’t raining to keep it from blowing around. After 3 months, we dug a hole in one end of the pile and found a leg bone. We left the pile in place for another 3 months, and when we dug into it, found just a few bone fragments and lots of dark brown compost… Voila! Is compost a haphazard event? It can be, but regardless, composting is both a meticulous art and science.